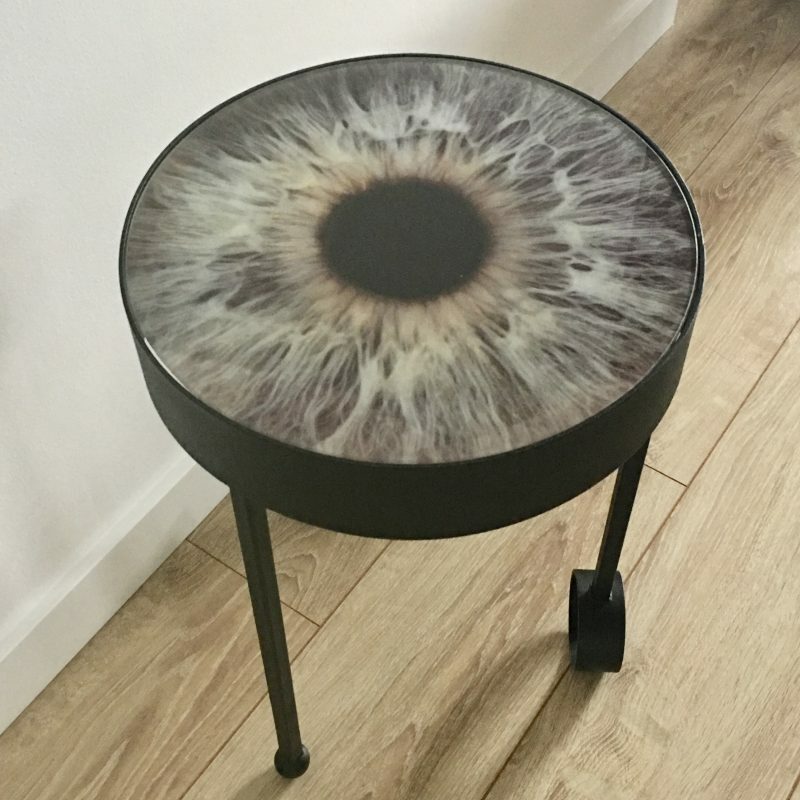 Amazing side table. 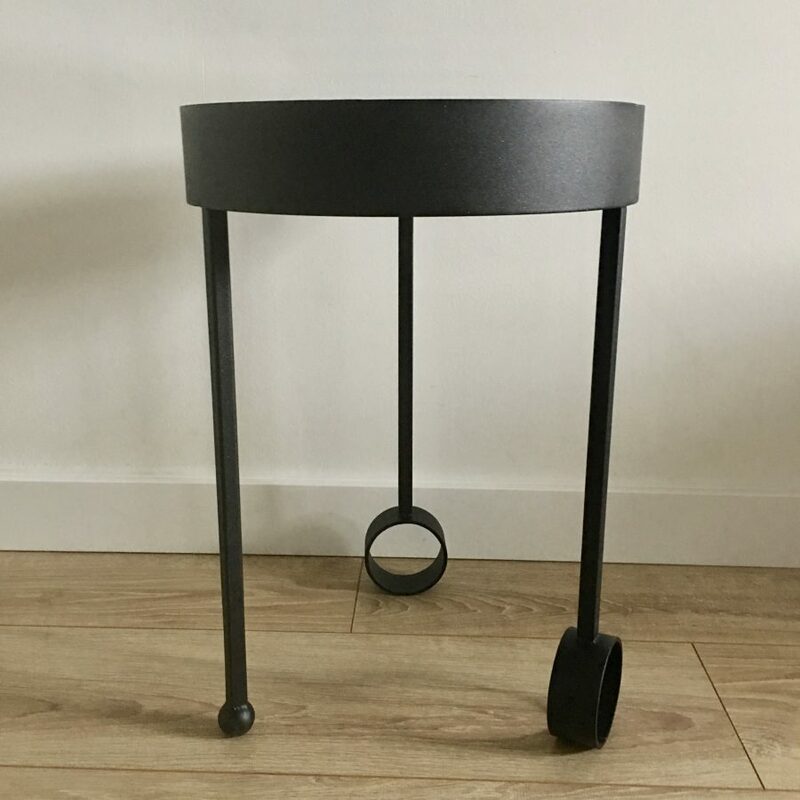 Metal constuction with glass top. 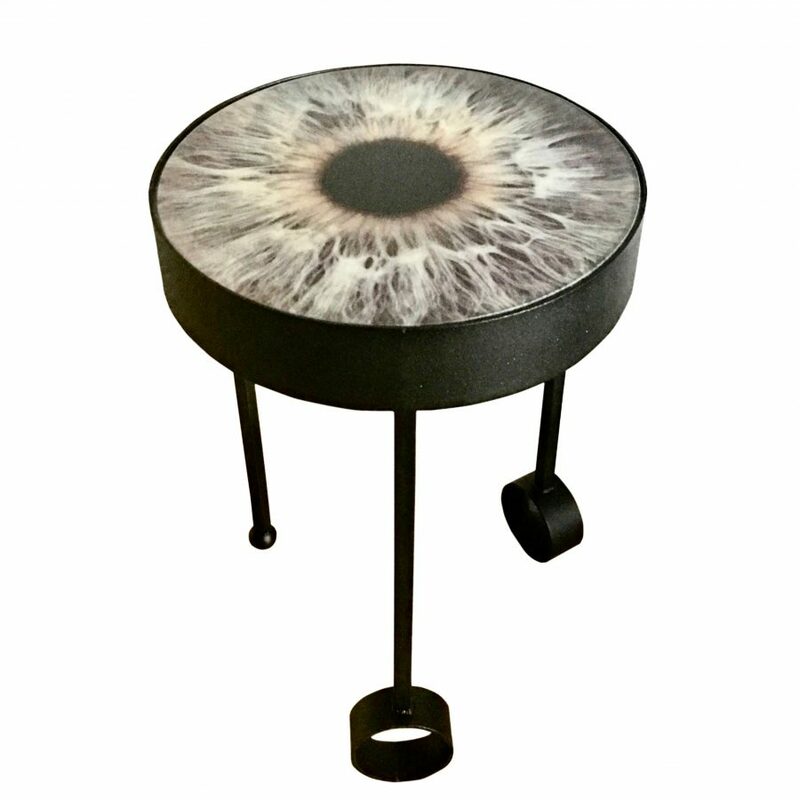 This cool coffee table is made of steel construction with a print of an eye on the glass top. 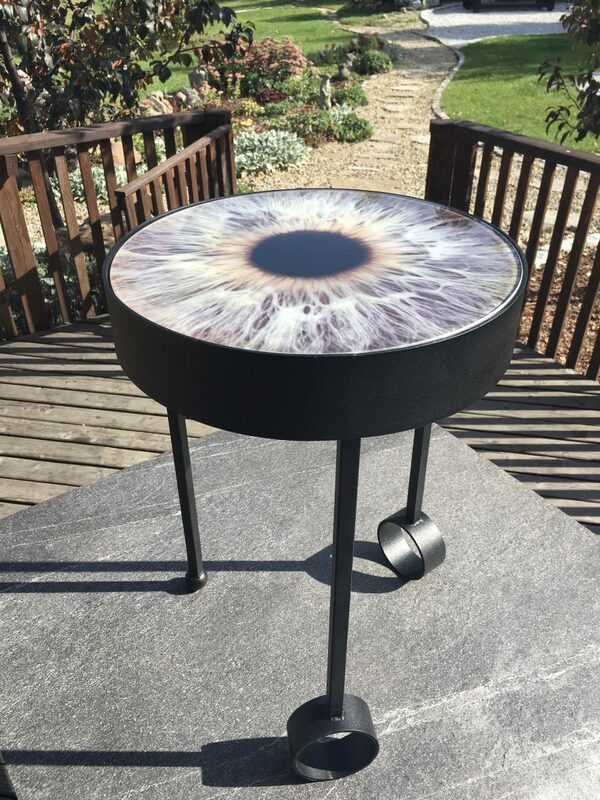 Steel base powder coated in fine sparkly black is holding glass top with print of human iris. 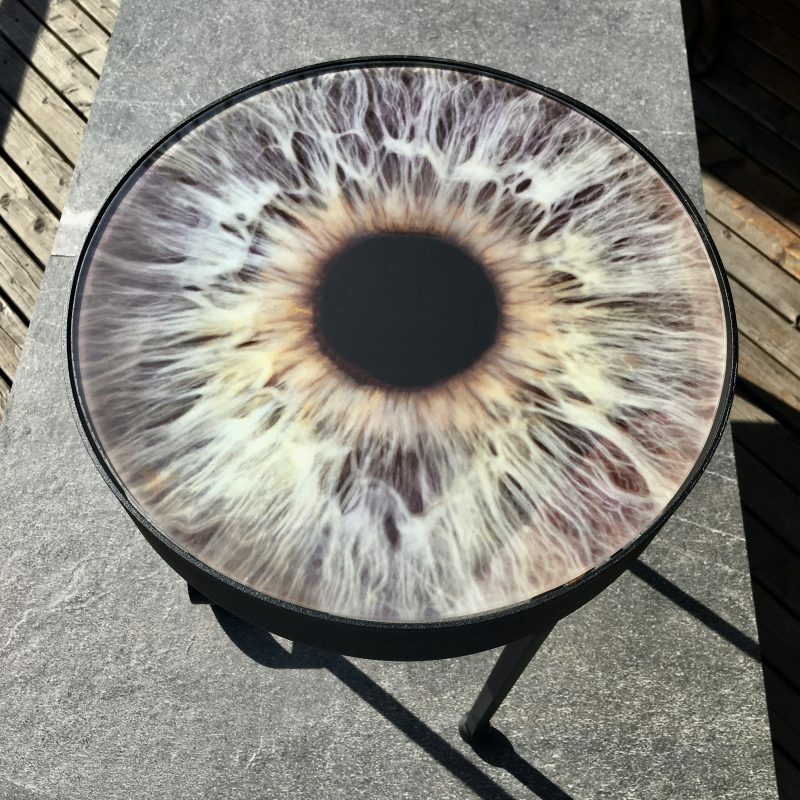 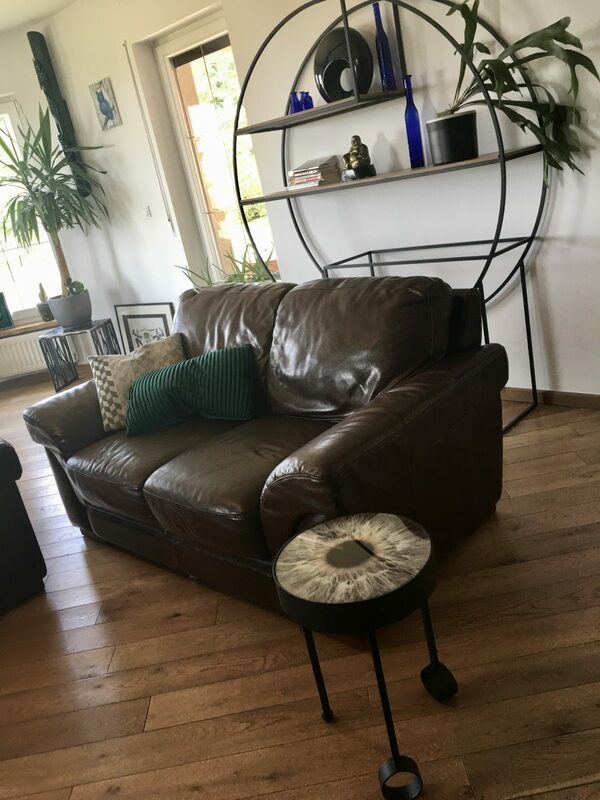 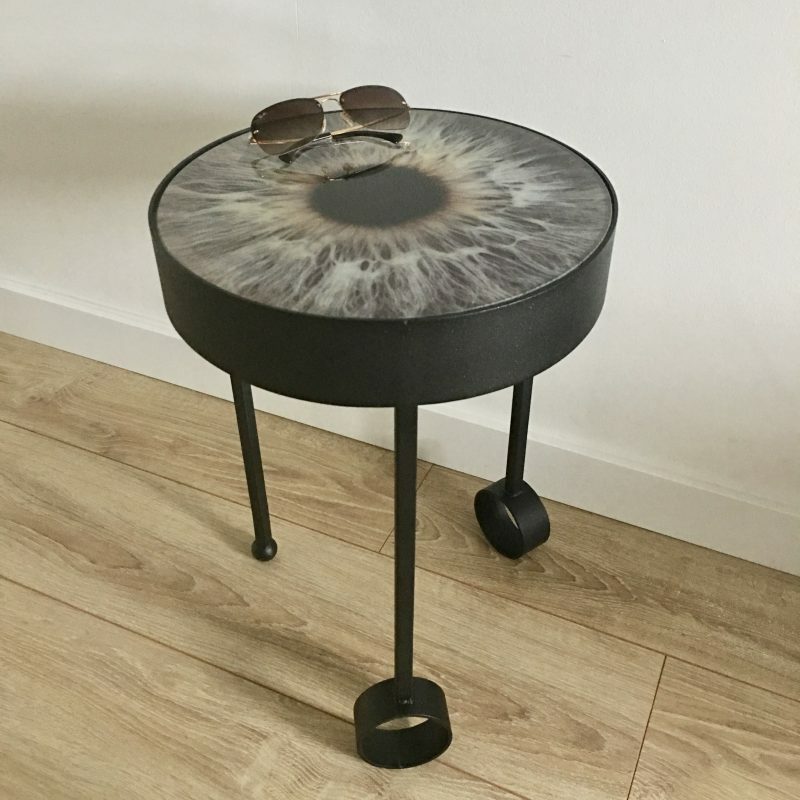 This table can be custom made using a photo of a YOUR eye! 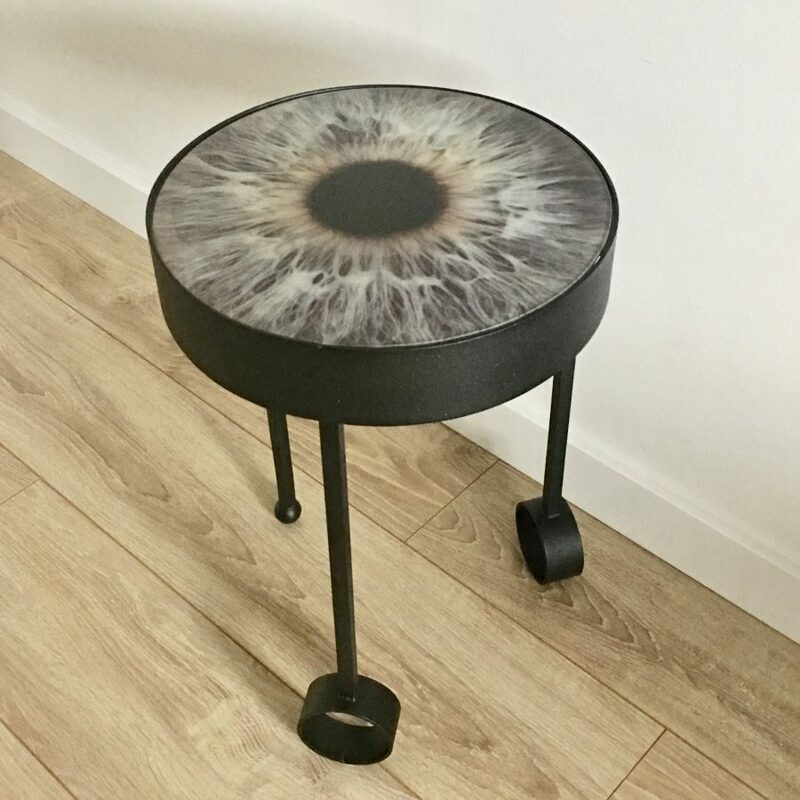 Very intriguing piece of furniture that makes a perfect side table in every interior.